This is a really good one. SIEL was an Italian company that always quite clearly had their own way of doing things. 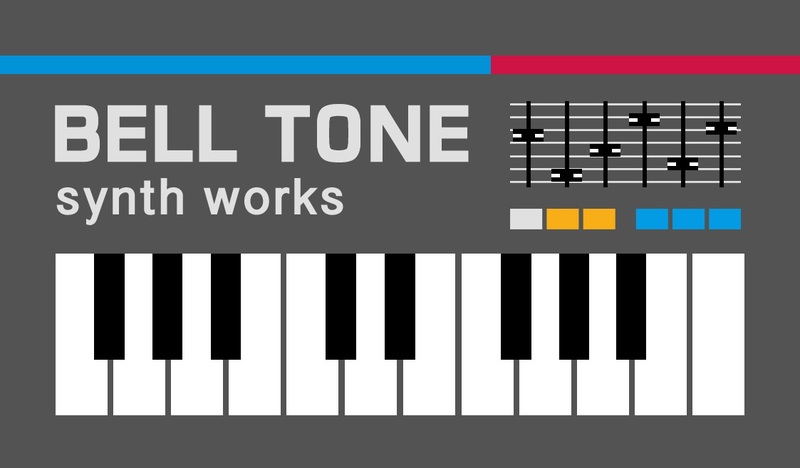 It is a 6-voice DCO polysynth with the ability to make just beautiful, delicate, lush tones. The square wave can go so low that it just sounds like a lawn mower in the distance. That’s not a very useful feature, but for some reason it always delights me when I encounter it. 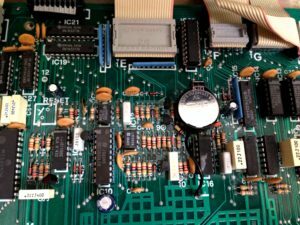 The Repair: The DK-600 unfortunately has a high chance of suffering serious damage as the result of a leaking NiCad memory battery which is in the middle of a lot of important stuff on the digital board. This one had suffered a bad leak and there was a lot to clean up and a lot of damaged parts, but when it arrived basically everything was working except the oscillators. 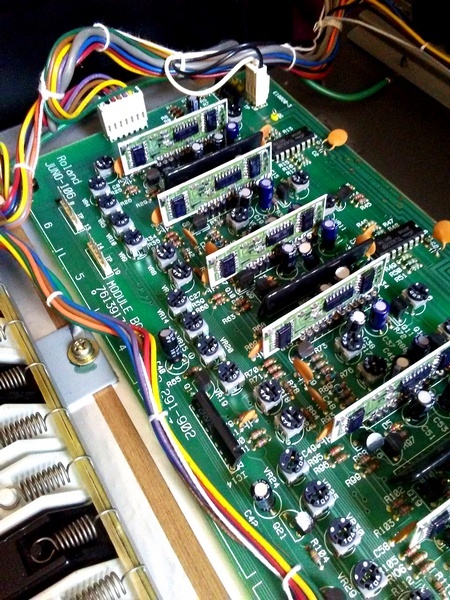 This may sound like a very dire state for a synth to be in, but think about all the things that WERE working! It turned out, eventually, that the oscillators were actually working fine… the trace leading to the ENABLE of the chip responsible for turning them on had just been eaten away. All told, I had to replace about a dozen or so components that had been eaten up by the battery spill and jump a lot of damaged traces… once the oscillators were on again, it became clear that there were no “note off” messages happening, and this was because of damage to the diode matrix set up for the decoding of the keyboard. 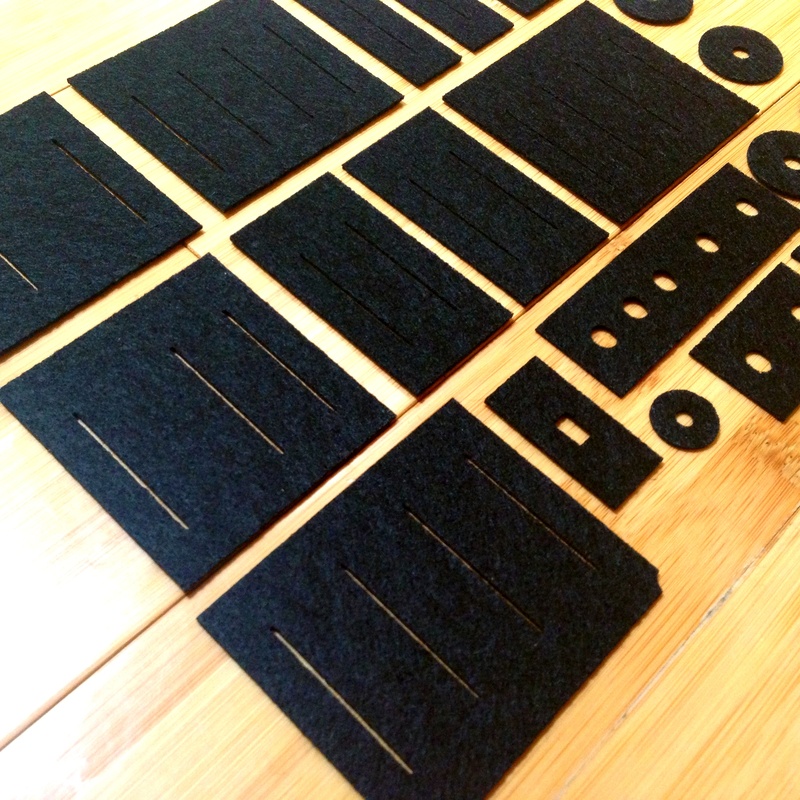 Connect your MIDI interface’s MIDI OUT to the DK-600’s MIDI IN. Set the DK-600’s MIDI channel to 00. (Program Select 96, then type in 00, press ENTER). Set the DK-600 to enable recording. (Just type in 95, then press ENTER. After this the display should say 00). Select “EXT.” using the MODE button under INTERFACES. Send the SysEx dump! If it is working you will see the display of the DK-600 count up to 94 as it transfers. Thanks for sharing info on th Siel DK600. Thanks Chris, just fixed that mistake you mentioned. 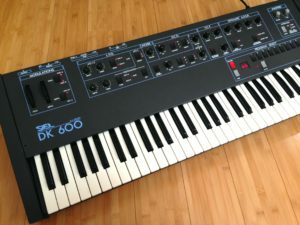 I’ve had a DK-80 of my own for years that used to be my main synth so my brain tends to fill in “DK-80” whenever I start saying or typing “DK”!